The UK student accommodation market continued to flourish in 2018, with 31,348 new beds delivered for the 2018/19 academic year, according to new research from Cushman & Wakefield. This has taken the total number of purpose-built spaces available to a record 627,115 and a further 36,000 new rooms are expected to enter the market in 2019. Cushman & Wakefield’s UK Student Accommodation Report 2018/19 looks at the market across the UK, including demand and supply of new developments. New data reveals the private sector has grown 130% in four years and now controls over half of all supply in the market, if considering on-campus partnership bed spaces as ‘private sector’ beds. This is a significant change from 2014 when universities provided two thirds of all beds in the UK. New supply has also been dominated by private sector development with 77% of all beds delivered by this part of the market in 2018. David Feeney, UK Student Accommodation Advisory at Cushman & Wakefield, commented: “The student accommodation market shows no sign of decelerating with another record-breaking year of student bed-space provision in 2018. Even with the uncertainty caused by Brexit we don’t expect the UK to become any less venerated as a top location for study and predict the upward trend to continue in 2019. “Students are increasingly discerning when they select a university and the quality of amenity spaces is more important than ever to the success of schemes. With the private sector tendency towards individual rooms and amenity quality, there is a real opportunity for developers to meet increasing demand, in a market where students are not just weighing up the quality of their course, but the quality of facilities too. In Manchester, which is the UK’s second largest market in terms of student numbers outside London, there were in excess of 24,000 purpose-built bed spaces for the 2018/19 academic year. Both the city’s universities are continuing to invest in their campus infrastructure to stay ahead in a competitive market, with the University of Manchester continuing with a £1bn campus investment programme. David Feeney said: “The market in Manchester is diversified and competitive with high occupancy levels in both university and private sector schemes. 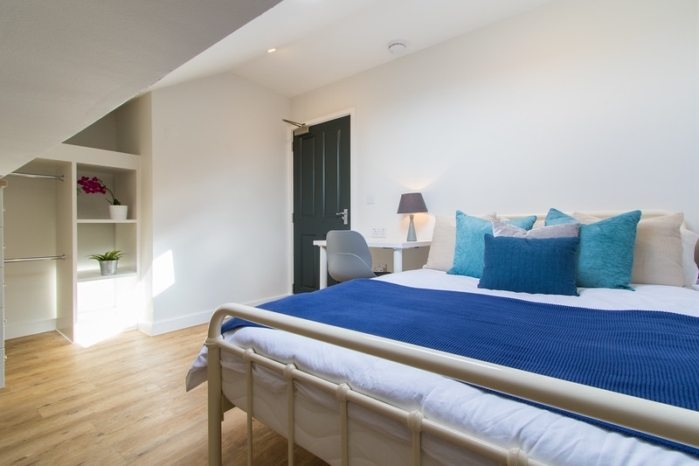 Private sector accommodation is generally located in the city centre and the nearby university campuses, with 50% of bed spaces in the overall market en-suite. Manchester is still subject to a development moratorium (due to the number of voids seen in the city following changes to the tuition fee system in 2012) and, although it has recently been intimated that the moratorium is set to remain for the foreseeable future, pressure is growing on the City Council to move students out of the private housing market. Cushman & Wakefield also revealed that the Manchester development pipeline currently stands at just over 6,000 bed spaces, many of which are refurbishments to existing stock.